1 . Keshavarz, E., Toloo, M., Performance measure selection problem with both orientations of envelopment forms in DEA , 48th International Conference on Computers & Industrial Engineering (CIE48) , Aucklnad, New Zealand, December 2-5, 2018. 2 . Toloo, M., Keshavarz, E., Input-output-orientated DEA models with selective measures , 12th Asia-Pacific Productivity Conference 2018 (APPC2018) , Seoul, Korea, July 4-6, 2018. 3 . Toloo, M., Keshavarz, E., Hatami-Marbini, A., Interval Dual-Role Factors in Data Envelopment Analysis , INFORMS International Conference , Taipei, Taiwan, Jun 17-20, 2018. 4 . Toloo, M., Keshavarz, E., Flexible measures with different returns to scale technologies , Data Envelopment Analysis International Conference 2018 (DEAIC2018) , Taipei, Taiwan, Jun 12-17, 2018. 5 . Kwasi Mensah, E., Toloo, M., Alfiero, S., Esposito A., Modelling the efficiency of European banks: A robust approach to data uncertainty , International Conference On Data Envelopment Analysis (DEA40) , Birmingham, United Kingdom, April 16th -18th, 2018. 6 . Amézquita Rengifo, S., J., Abolghasem Ghazvini, S., Navas Castaño, L. P., Toloo, M., An Alternative Model for DEA Cross Efficiency Evaluation with Flexible Measures , International Conference On Data Envelopment Analysis (DEA40) , Birmingham, United Kingdom, April 16th -18th, 2018. 7 . Keshavarz E., Toloo M., A comparison of envelopment models for selecting performance measures , 10th International Conference on Law, Business, Marketing and Education (LBME-17) , Pattaya, Thailand, December 27th-28th, 2017. 8 . Toloo M., Keshavarz E., Selective measures under constant and variable returns-to-scale assumptions, 9th International Conference on Business, Management, Law and Education (BMLE-17) , Kuala Lumpur, Malaysia, December 14th -15th, 2017. 9 . Toloo M., Kwasi Mensah E. Multi-objective extended transportation problem under demand and supply uncertainty , The 2017 International Conference on Multiple Objective Programming and Goal Programming (MOPGP2017) , Metz, France, October 30th -31st, 2017. 1 0 . Toloo M., Mirbolouki M., Allahyar M., A new project selecting method using Data Envelopment Analysis , 47th International Conference on Computers & Industrial Engineering (CIE47) , Lisbon, Portugal, October 11th -13th, 2017. 1 1 . Toloo M., Allahyar M., A DEA approach for selecting performance measures in presence of negative data , 35th International Conference on Mathematical Methods in Economics (MME2017) , Hradec Králové, Czech Republic, September 13th - 15th, 2017. 1 2 . Toloo M., Hatamimarbini A., A DEA-DA approach for classifying multi-group observations , 21st Conference of the International Federation of Operational Research Societies (IFORS) , Québec, Canada, July 17th-21st, 2017. 1 3 . Toloo M., Alibeik M., Productivity change evaluation in DEA models with single input or single output , Data Envelopment Analysis International Conference 2017 with Taiwan Productivity Workshop , Hefei, China, July 7th -10th, 2017. 1 4 . Toloo M., Allahyar M., Hanclova J., A directional distance method on classifying inputs and outputs in DEA: Application to banking industry , 15th International Conference on Data Envelopment Analysis (DEA2017) , Prague, Czech Republic, June 26th-29th, 2017. 1 5 . Alfiero S., Esposito A., Madhooshiarzanag P., Toloo M., The efficiency measures of the European commercial banking sector. A relational network DEA application , 15th International Conference on Data Envelopment Analysis (DEA2017) , Prague, Czech Republic, June 26th-29th, 2017. 1 6 . Hanclova J., Toloo M., Melecky L., Stanickova M., Energy Efficiency Comparison of EU28 Countries Based on Various Undesirable Outputs of Air Emissions , 15th International Conference on Data Envelopment Analysis (DEA2017) , Prague, Czech Republic, June 26th-29th, 2017. 1 7 . Arabjazi N., Gholaminezhad A., Toloo M., A goal programming model in data envelopment analysis cross- efficiency evaluation , 15th International Conference on Data Envelopment Analysis (DEA2017) , Prague, Czech Republic, June 26th-29th, 2017. 1 8 . Franek J., Toloo M., A two-stage DEA approach to analysis of economies of scope: case of China Mobile , 15th International Conference on Data Envelopment Analysis (DEA2017) , Prague, Czech Republic, June 26th-29th, 2017. 1 9 . Toloo M., Kwasi Mensah E., Robust optimisation for nonnegative decision variables: A DEA approach , 15th International Conference on Data Envelopment Analysis (DEA2017) , Prague, Czech Republic, June 26th-29th, 2017. 2 0 . Toloo M., Allahyar M., A selecting model under constant returns to scale in data envelopment analysis , 12th International conference on Strategic Management and its Support by Information Systems (SMSIS) , Ostrava, Czech Republic, May 25th-26th, 2017. 2 1 . Sabeghi N., Toloo M., Determining the timing of project control points using a probabilistic location model , 10th International Conference of Iranian Operations Research Society , Babolsar, Iran, May 3rd-5th, 2017. 2 2 . A Modified Approach for Holding the Strict Positivity Restriction of Weights in DEA Models , International Conference on Business, Economics, and Social Science & Humanities , Phuket, Thailand, November 27th -28th, 2016. 2 3 . A single-stage approach for selecting inputs/outputs in DEA , 34th International Conference Mathematical Methods in Economics MME 2016 , Liberec, Czech Republic, September 6th – 9th 2016. 2 4 . Evaluation of Market Risk Models: Changing the Weights in the DEA Approach , 34th International Conference Mathematical Methods in Economics MME 2016 , Liberec, Czech Republic, September 6th – 9th 2016. 2 5 . A facility location model using DEA , 28th European Conference on Operational Research , Poznan, Poland, July 3rd -6th, 2016. 2 6 . Modelling the Sum of Linear Ratios in Data Envelopment Analysis , Data Envelopment Analysis International Conference 2016 , Nanjing, China, June 2nd -5th, 2016. 2 7 . On Integrating DEA and AHP for the Facility Layout Design in Manufacturing Systems , 2015 INFORMS Annual Meeting , Philadelphia, Pennsylvania, USA, November 1st – 4th, 2015. 2 8 . Multi-Objective Optimization for Periodic Preventive Maintenance , 6th International Conference on Industrial Engineering and Systems Management (IEEE-IESM 2015) , Seville, Spain, October 21st -23rd 2015. 2 9 . Safety Evaluation of Older Drivers Based on Psychological, Physical and Driving Performance , 2015 Road Safety & Simulation International Conference , Orlando, Florida, USA, October 6th -8th 2015. 3 0 . A Bi-Objective Data Envelopment Analysis Model Using a Common Set of Weights , 13th International Conference on Data Envelopment Analysis (DEA2105) , Technische Universität (TU) Braunschweig, Germany, August 24th-27th, 2015. 3 1 . A Multiple Criteria Data Envelopment Analysis Approach to a two-stage Process , 14th European Workshop on Efficiency and Productivity Analysis (EWEPA’15) , Helsinki, Finland, June 15th-18th, 2015 3 2 . Evaluation of VaR Models: DEA Approach, 8th International Conference of Iranian Operations Research Society , Mashhad, Iran, May 21th-22th, 2015. 3 3 . A new two-phase approach for holding the strict positivity restriction of weights in DEA models , 4th World Conference on Business, Economics and Management , Izmir, Turkey, April 30th-May 2nd, 2015. 3 4 . Solving the Bi-Objective Integer Programming: A DEA Methodology, 2nd International Conference on Control, Decision and Information Technologies (CoDIT'14), Metz, France, November 3rd -5th 2014. 3 5 . A slacks-based approach for finding the most BCC-efficient DMU , Joint International Symposium on 44th International Conference on Computers & Industrial Engineering (CIE’44) and 9th International Symposium on Intelligent Manufacturing and Service Systems (IMSS’14), Istanbul, Turkey, October 14th -16th 2014 . 3 6 . Dynamic Development of Regional Efficiency by Malmquist Index: Competitive Zones , 7th International Scientific Conference Managing and Modelling of Financial Risks, Ostrava, Czech Republic, September 8th-9th 2014. 3 7 . Bus Routes Planning using a Graph Coloring Methodology, International Conference on Engineering and Applied Sciences Optimization (OPT-i), Kos Island, Greece, June 4 th -6 th 2014. 3 8 . A Bi-Objective Minimum Cost-Time Network Flow Problem, 3 rd World Conference on Business, Economics and Management , Rome, Italy, April 9 th -11 th 2014. 3 9 . Increasing classification gain in DEA-DA approach: an application to bank industry, 14 th international conference on finance and banking financial regulation and supervision in the after-crisis period, Ostrava, Czech Republic, October 16th-17th 2013. 4 0 . 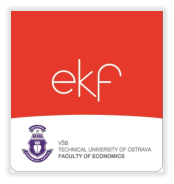 Performance measures in data envelopment analysis with an application for bank industry, 9 th International Scientific Conference Financial Management of Firms and Financial Institutions , Ostrava, Czech Republic, September 9 th -10 th 2013. 4 1 . On finding the best performer in data envelopment analysis , 11 th International Conference on Data Envelopment Analysis (DEA2013), Samsun, Turkey, June 27 th -30 th 2013. 4 2 . A new MILP model for finding the most efficient DMU, 2010 INFORMS Annual Meeting Special Track in Honor of Professor W. W. Cooper, Austin , Texas, USA, November 7 th – 10 th 2010. 4 3 . Ranking DMUs on the benchmark line with equal shadow prices , 40 th International Conference on Computers & Industrial Engineering, CIE40, Awaji island, Hyogo, Japan, July 26 th – 28 th 2010. 4 4 . Cost efficiency in Relational Network DEA , 7 th Biennial International Conference on Data Envelopment Analysis, – iDEAs2009, Philadelphia, USA, July 10 th – 12 th 2009 . 4 5 . Finding the most cost efficient DMU with certain and uncertain input prices , 39 th International Conference on Computers & Industrial Engineering, CIE39, Troyes, France, July 6 th – 8 th 2009 . 4 6 . Centralized additive model , 39 th International Conference on Computers & Industrial Engineering, CIE39, Troyes, France, July 6 th – 8 th 2009 . 4 7 . Efficiency in relational models: DEA approach , 18 th Triennial Conference of the International Federation of Operations Research Societies – IFORS2008, Sandton, Johannesburg, South Africa, July 13 th – 18 th 2008 . 4 8 . A new integrated DEA model for finding most BCC-efficient DMU , 18 th Triennial Conference of the International Federation of Operations Research Societies – IFORS2008, Sandton, Johannesburg, South Africa, July 13 th – 18 th 2008 . 4 9 . Measuring overall profit efficiency with interval data , 3 rd International Conference on Mathematical Sciences – ICM2008, United Arab Emirates University, UAE, March 3 rd -6 th 2008. 5 0 . An Assurance Interval for the Non-Archimedean Epsilon in Data Envelopment Analysis models with Rank Order Data, 5 th International Symposium on DEA and Performance management, Indian school of business, Hyderabad, India, Jan 5 th -7 th 2007. 5 1 . On the Evaluation of Information Technology Investment , 5 th International Symposium on DEA and Performance management, Indian school of business, Hyderabad, India, Jan 5 th -7 th 2007. 5 2 . An Efficient Method for determining in DEA , 31 th Annual Iranian Mathematics Conference , University of Tehran, Tehran, Iran, 2000. 5 3 . Unique Bound of Non-Archimedean for CCR model in Data Envelopment Analysis , 29 th Annual Iranian Mathematics Conference , Amir Kabir University of Technology, Tehran, Iran, 1998. 5 4 . Computational Framework of Infinitesimals in Data Envelopmenet Analysis: With an Empirical Investigation on Schools , 28 th Annual Iranian Mathematics Conference , Tabriz university, Tabriz, Iran, 1997.